Smith and Warner are not keen, even if the hours and over requirements of each day are extended to reduce disparity with the traditional format. Their views come as a setback to international cricket chiefs who have floated the idea. Australia captain Steve Smith and star opener David Warner say they have no desire to play four-day Tests, reports AFP. At a board meeting in Auckland this month, the International Cricket Council unveiled plans for a long-awaited, nine-nation Test championship in a bid to preserve the five-day format's status following the rapid growth of Twenty20. Among a raft of other reforms, it also agreed to experiment with four-day Tests, with South Africa and Zimbabwe set to trial the first in December. But Smith and Warner are not keen, even if the hours and over requirements of each day are extended to reduce disparity with the traditional format. Their comments come as a setback to international cricket chiefs who have floated the idea. 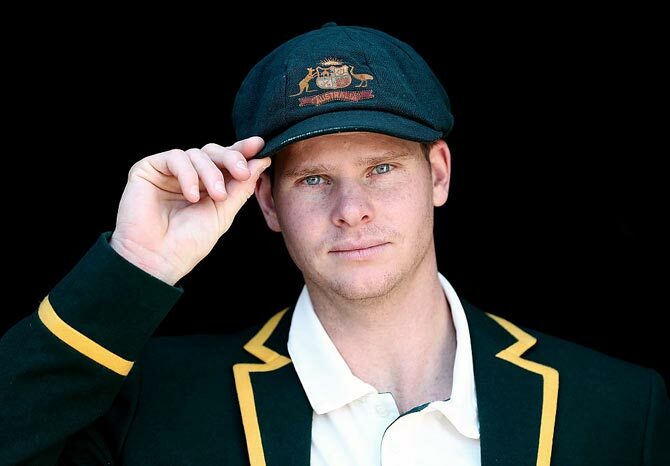 "Personally, I like five so I would like to keep it at five," Smith said in an interview with cricket.com.au. "Just the traditional way that Test cricket has been played, I think it's great when you get into that fifth day and enter that last hour; I think it's a really cool part of the game." Warner was even more strident in his opposition, saying: "I have no interest in four-day cricket". "You have so many variables in Test match cricket -- you've got weather, some games might be only getting three days but it just takes one day to have that weather come in and it can ruin it," he told the same website. "Then on the flip-side, it's a Test. "It's the longevity, being out there on your legs, it's grit, determination, those things come to my mind to actually want to keep playing five-day cricket. "Like a timeless Test (a feature of Test cricket in the 1920s and '30s), it's basically survival of the fittest." Cricket Australia chief James Sutherland has expressed support for the trial, but indicated earlier this month it was unlikely Australia would take part any time soon. "We were supportive of the trial... I think it's about learning, it's about innovation, it's about understanding whether these sorts of things can work," he told reporters. "Our Test schedule over the next couple of years before the Test Championship starts has us playing against England this summer, South Africa, Pakistan, India and Sri Lanka. "I don't foresee us playing any four-day Test cricket in that window. But that's not to say we don't support the trial. We'll certainly be interested observers." Select Team: Should India drop Jadhav, Kuldeep? Will Dhoni be back at CSK in next year's IPL? Will India have separate set of bowlers for Tests and ODIs?